This typeface was designed to meet the needs of enabling better digital reading experiences in the Kannada script. The lack of suitable Kannada typefaces results in either poor reading experiences or transliteration of content into Latin script. ‘Every language and every writing system deserves well-executed fonts, to give its users the freedom to express thoughts and opinions in a visual manner with the aid of aesthetically pleasing digital graphemes, and without any technological hindrance.’ This quote from Dr. Jo De Baerdemaker at Granshan conference 2015 helps sum up the brief. The design aims to address the current lack of well-designed fonts for screen use, with special considerations for mobile devices. 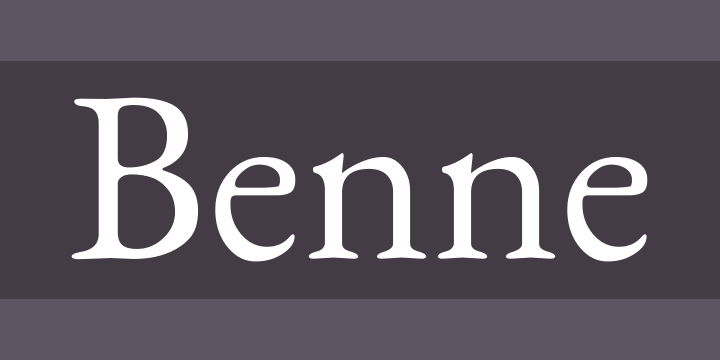 In this way, Benne makes full use of OpenType features. While there are many acceptable fonts for the system, they do not lend themselves well to new technology or rendering environments such as mobile devices. Further, the design of this font concerns itself with harmonizing with EB Garamond, originally designed by Georg Duffner. However rather than mimic some of the stylistic features of this Garamond, Benne stays true to the Kannada writing system, matching itself in terms of color balance in the document. Many thanks to Dave Crossland and Erin McLaughlin.